In an effort to drum up support among conservative Republicans and add some political experience to his presidential election ticket, presumptive Republican nominee Donald Trump named Indiana Gov. Mike Pence as his running mate via Twitter on Friday. The announcement kicked off a frenzy of getting-to-know-you research as Trump's supporters — and critics — attempted to learn more about the policies and ideology of Pence, a politician relatively unknown outside his home state. Known for his conservative policies, Pence and Trump share similar viewpoints on quite a few subjects. But where does Pence, Trump's vice president, stand on climate change? Like Trump, Pence does not believe in climate change. The Indiana governor has denied the scientific findings behind global warming multiple times. While serving as a member of the House of Representatives in 2009, Pence told MSNBC's Chris Matthews he felt the scientific community was growing skeptical of global warming during an interview on Hardball with Chris Matthews. "I think the science is very mixed on the subject of global warming," Pence said. "On the global warming issue, I know that in the mainstream media, Chris, there is a denial of the growing skepticism in the scientific community about global warming." Not surprisingly, it wasn't the first time Pence had publicly come out against the science behind climate change. In an op-ed on his congressional campaign website dug up by Buzzfeed, which Pence reportedly wrote more than a decade ago, the Indiana politician was much more outright in his denial of climate change. "Global warming is a myth," Pence wrote. "Just like the 'new ice age' scare of the 1970's, the environmental movement has found a new chant for their latest 'chicken little' attempt to raise taxes and grow centralized governmental power. The chant is 'the sky is warming! the sky is warming!'" According to Indiana's the Star Press, Pence largely dismissed global warming as a theory, telling the paper in 2003, "The theory of global warming is just that – a theory." 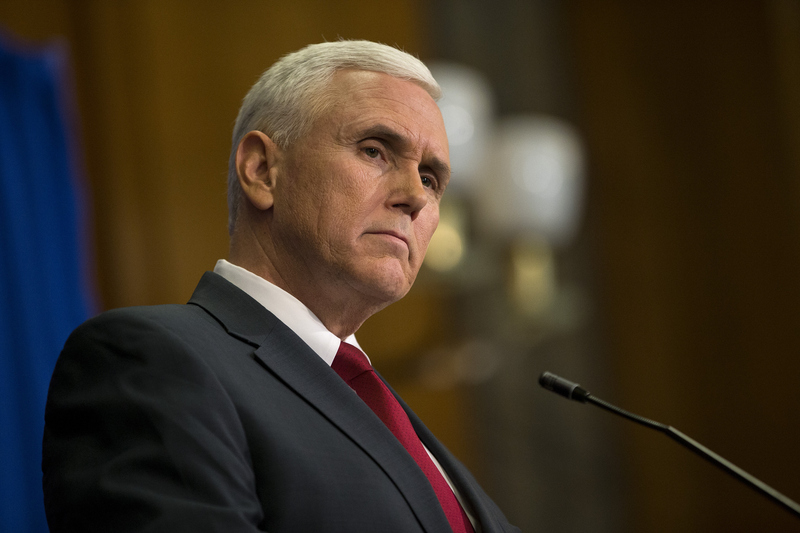 Although Pence backed away from denying climate change outright when he became governor of Indiana, he continued to express doubt about the subject's scientific findings 12 years later. "The governor continues to keep an open mind about the science behind the cause of climate change but does not believe that it has been fully resolved yet," the State Press reports his press secretary, Kara Brooks, said in 2015. That same year, Pence openly opposed Obama's Clean Power Plan, which aimed to regulate carbon emissions from power plants, on the basis it would drive up energy costs. Both NASA and nearly two dozen Indiana scientists, however, beg to differ. "Multiple studies published in peer-reviewed scientific journals show that 97 percent or more of actively publishing climate scientists agree: Climate-warming trends over the past century are extremely likely due to human activities," NASA has concluded. In 2015, a group of scientists in Indiana penned an open letter to Pence to urge the state governor to reconsider his opinion on the matter. "The basic science of climate change is settled," they wrote. "Changes in the carbon dioxide concentration strongly influence Earth’s climate. In the past century, the carbon dioxide concentration of the atmosphere has increased by 30 percent." While many Republicans are hoping Pence will bring level-headed legislative experience to Trump's White House bid, critics are concerned about how Pence's stance on climate change might drive Trump's policy.